Assassin’s Creed may not be the first game that comes to mind when asked the question of what franchise you’d like to see immortalized in MMO form, but it could be more of a possibility than you think. 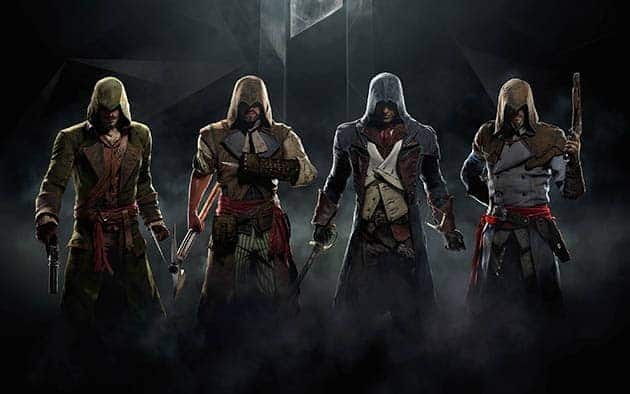 During a recent interview Lead Producer on the upcoming Assassin’s Creed Unity, Vincent Pontibrand, shared his desires to create an MMO based on the award-winning Assassin’s Creed universe. “I’d love to have time personally, but it’s not there!” Pontibrand said. Pontibrand went on to say that Unity is the first stage of developing a game that utilizes the kind of mechanics and features involved in traditional MMO design. other friends you’re just the four of your in your session of Paris. Do you think that Assassin’s Creed would make for an exciting MMO? Leave your thoughts below.